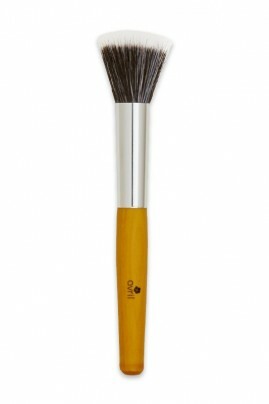 AVRIL Duo Fibre Brush is used to apply liquid, fluid and cream foundation. Made with semi-synthetic and semi-natural hairs, it ensures natural result, with no marks or harsh lines ! How to use Avril Duofibre Brush to apply foundation ? Take some foundation on Avril Duo Fiber Brush. Apply on your face using light circular motions. Always start from the center going outwards for the most natural result.